Florida Environmental Regulation Specialists, Inc. (FER) is a full service environmental consulting company located in Apopka, Gainesville, Tampa and Port Charlotte, Florida. FER is a State of Florida Certified Professional Engineering Business and State of Florida Certified Professional Geology Business. We are also certified as a Minority Business Enterprise (MBE) and Local Developing Business (LDB) Enterprise. Our experienced environmental, engineering and geology professionals and scientists have a personal approach with their clients. Cost effective project management is our hallmark. We have a record of customer satisfaction that is unparalleled in the environmental consulting industry. That is why our clients continue to come to us for solutions to their environmental challenges. 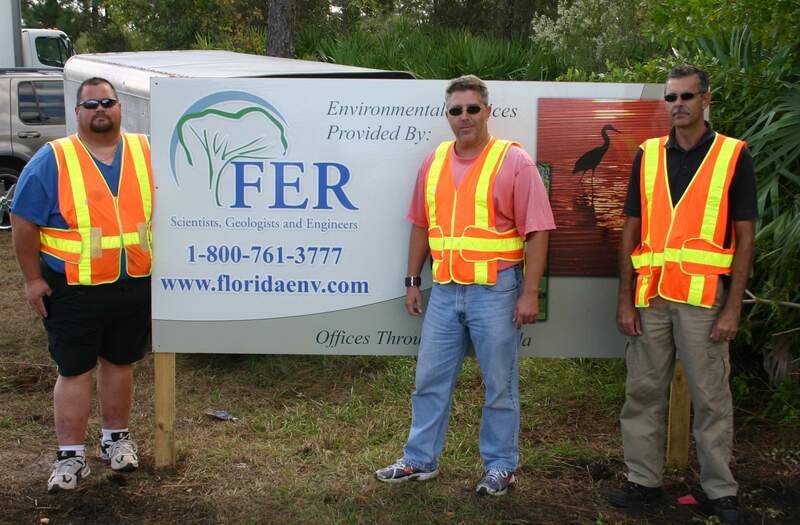 Our Mission: Florida Environmental Regulation Specialists, Inc. (FER) is committed to providing the most cost effective and efficient answers to our clients’ environmental challenges. Our clients will receive the highest quality of professional services from knowledgeable and experienced personnel with a personal touch. We are dedicated to providing fresh ideas in implementing proven and new technologies. FER is knowledge for business and ideas for our environment. To learn more about who we are and how we can serve your needs, please read our About Us page.